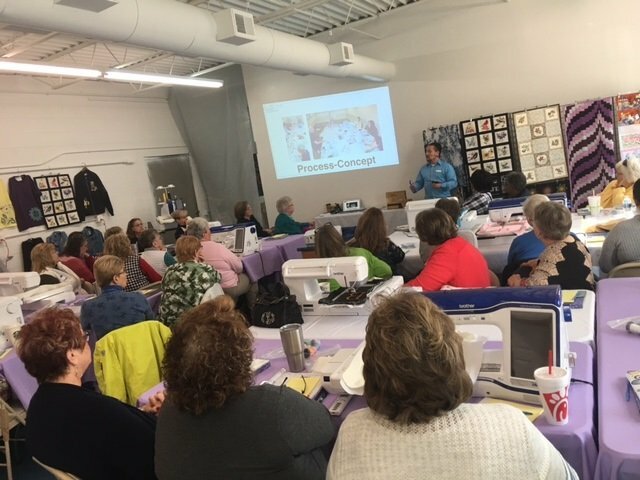 Each month we will be demonstrating new techniques in Sewing , Quilting and Embroidery as well as the newest products coming out and a time to show and tell. From Sewing, Quilting to Embroidery if you are a sewing enthusiast like me the chance to learn something new is always so exciting. We will meet the Second Friday of the Month from 11:00am -1:00pm. Free if you purchased your Machine from Us!